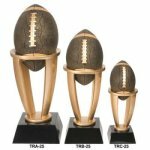 We offer a wide variety of products for your fantasy football leagues. 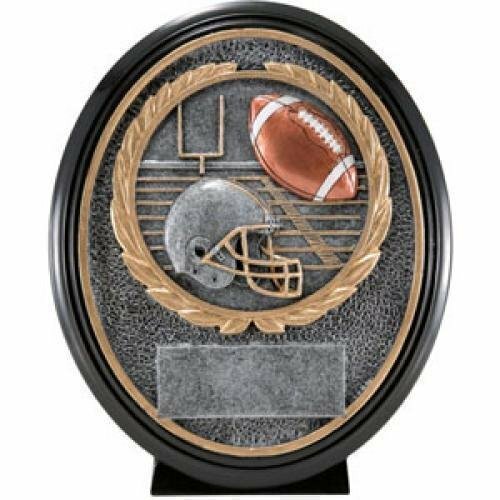 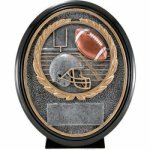 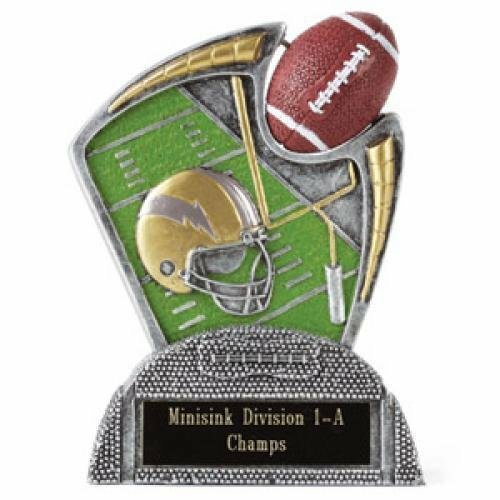 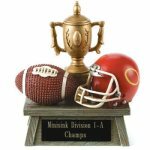 Trophies, plaques and resins can all be engraved to recognize the cahmpions of your league. 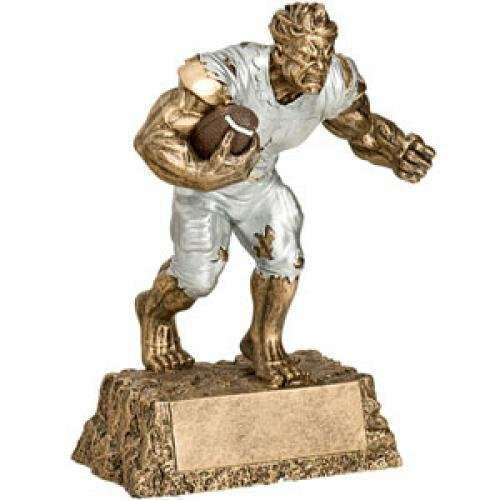 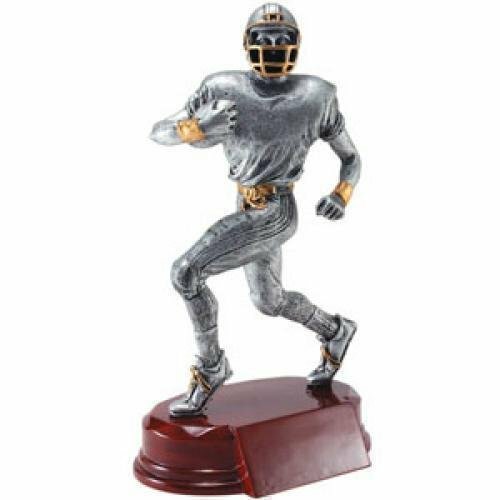 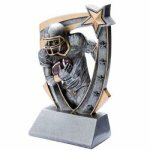 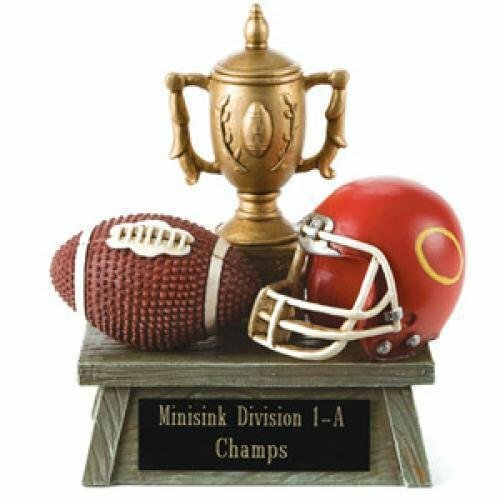 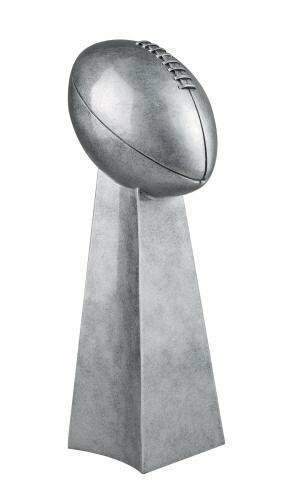 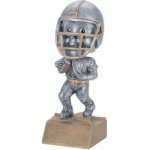 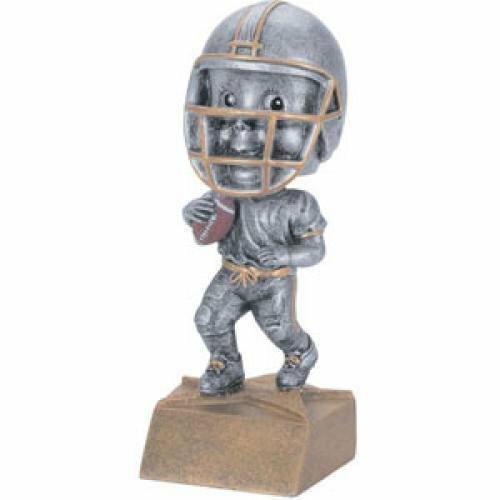 This stylish silver finish resin football trophy looks like a professional sports championship trophy. Comes in 2 different sizes and each trophy will have a silver engraving plate attached if engraving is necessary. Add a logo make this trophy really stand out.